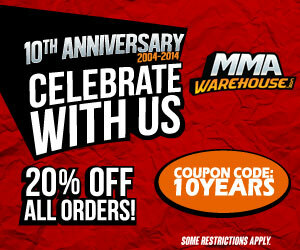 The Hayabusa Hybrid MMA Gloves takes the all the best features and combines it to make the most versatile type of glove. These are the in-between gloves for cross-training: for striking pads, light sparring and while working on grappling and ground game. The Hayabusa Hybrid features a ultra thick Pro Complex padding that gives you the most protection without sacrificing mobility and weight. The gloves also have an accurate ergonomic design that gives a excellent comfort and fit. The palm opening and finger loops are not too restrictive but prove enough snugness to keep the glove secure to your hand. For added stability the Hybrids are made with a Dual Cross Directional system that reinforces the strap and protecting your wrist. 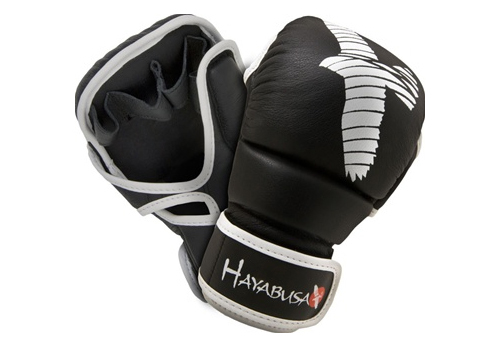 As with top quality MMA gloves, the Hayabusa Hybrids are made of 100% leather and super tough stitching to ensure extreme durability.